OK, OK, we know—oil? On acne? What? Usually, those words aren’t found in the same sentence together because we’ve all been conditioned since puberty to believe that oil is the kiss of death for your face. Instead, we believed slathering acidic, drying, and irritating toners, scrubs, and cleansers across your face eradicated every spot and bump in existence. But what if we told you the key to reducing your acne-prone skin was to cover it in a thick layer of oil? Because that’s exactly what the internet is doing, and faces are being transformed practically overnight. 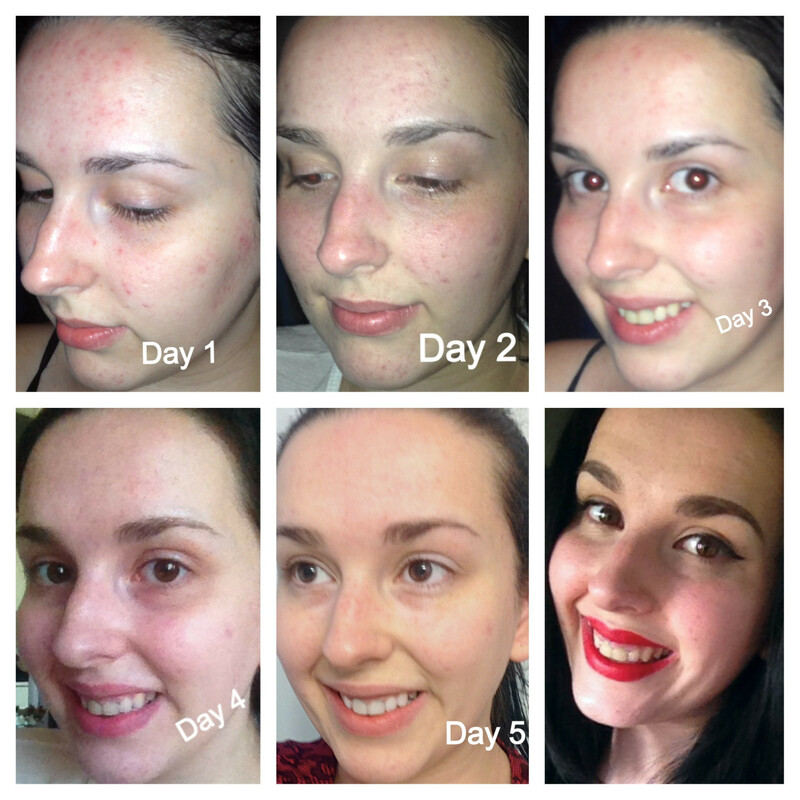 It’s called the oil cleansing method (or OCM), and it has spurred thousands and thousands of blog posts and Reddit discussions for being a complete skin-changer for virtually all complexions, especially the acne-prone. The actual “how” of OCM is pretty straight-forward: Just massage a palmful of oil—we’ll get to the specific oils in a second—over your dirty, makeup-covered face for a few minutes, gently wipe off the oil with a warm microfiber cloth, massage another palmful of oil into your skin for another few minutes, then wipe off the oil again, re-wetting the cloth and re-wiping until most of the excess oil (but not all!) is gone. That’s it. Then the magic happens. According to Reddit’s most-famous oil cleansing guide, the basic idea behind oil cleansing is the “dissolution theory—or, more simply ‘like dissolves like,'” which basically means that “oil is able to dissolve and remove substances with a similar chemical structure, which includes dirt, oil, and makeup.” You see, most anti-acne cleansers on the market (even those geared toward sensitive or dry skin) are filled with irritating ingredients that strip your skin of its natural oils. And when your skin is stripped or irritated, it over-produces oil, leading to more clogged pores, blackheads, and pimples. Fun, right? OCM, though, cuts out the bad stuff while nourishing your skin, so your body can focus on healing the acne you have without causing more. Now that you’re convinced, it’s time to learn which oil you should use. Though Reddit has an in-depth guide to oil-choosing, the basic gist is that you want to choose an oil that’s super-low on the comedogenic (i.e. pore-clogging) scale, like mineral oil (the easiest, most well-tolerated oil for OCM), argan oil, hemp seed oil, or jojoba oil, and then find the one that’s tailored to your skin type or concern. Surprisingly, not all oils are the same—some are super-rich and hydrating (like almond, avocado, and jojoba), which are great for dry or dehydrated skin, while others act as antibacterial astringents (like castor oil, neem oil, and evening primose oil), which can help mattify and treat oily, acne-prone skin. Whatever oil you choose, though, make sure you buy only 100 percent, high-quality formulas, like anything sold at the cult-favorite Garden of Wisdom store. Of course, we feel the need to remind you that your mileage may vary, and what works for everyone else on the internet may not work for you. But as far as risky skin treatments go, OCM is pretty low-stakes. So if you want to try it out for yourself, pick up a bottle of oil, some microfiber cloths, and go to town. Then come back here next week with a selfie of your shockingly excellent skin, so we can all cheer together. A version of this article was originally published in May 2017.